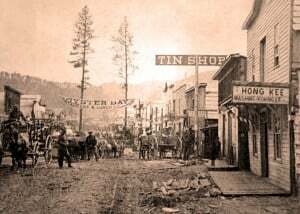 HBO’s fan-favorite TV show, Deadwood, returns this spring to the small screen for one final experience with the characters who populated the famous mining town. Chris Wimmer, creator of the Legends of the Old West podcast, presents a program on the long-awaited conclusion of the iconic TV show, and compares and contrasts it with the true events of Deadwood history as they were told on his podcast. Homestake Adams Research and Cultural Center; 12:00 p.m.; admission by donation. Healthy communities need healthy minds. Join us for our 8th annual free community event celebrating mental health awareness & suicide prevention day on Thursday, May 9th from 5 to 7 PM at Main Street Square. All ages welcome!